Hello friends! 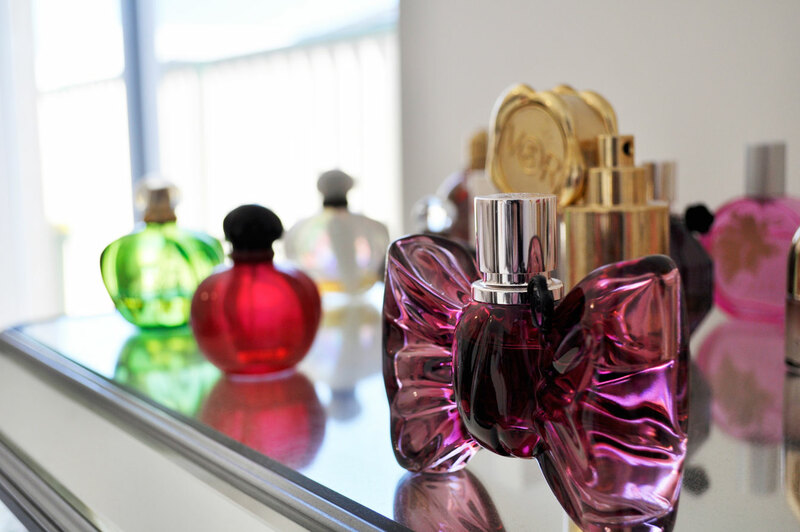 If you know me well then you know that I love my beauty oils. They give my skin a boost of nourishment and long-lasting hydration that you can’t normally get from your regular moisturiser alone. 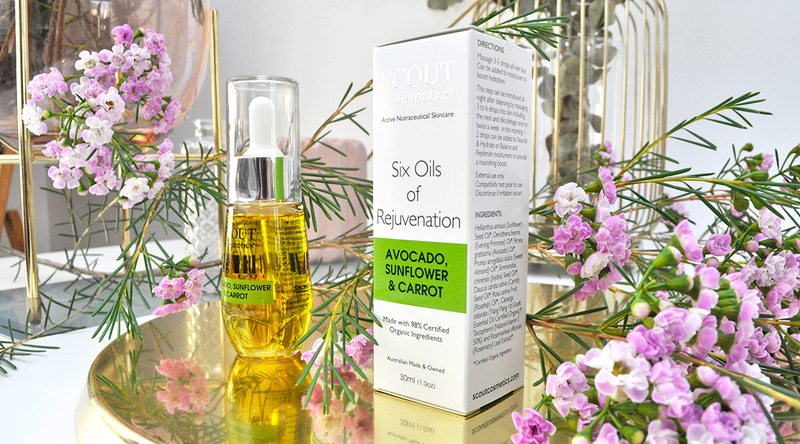 I have been waiting to try Scout Cosmetics Six Oils of Rejuvenation for the longest time but I needed to finish off some of the oils I had before introducing a new product. I can finally report back and let everyone know that it is seriously impressive! This hardworking vegan anti-oxidant booster treatment is packed with Avocado, Carrot Seed, Sunflower, Evening Primrose, Sweet Almond, Rosehip and Jojoba Seed. The oil sinks quickly into my skin leaving it feeling healthier and smoother. 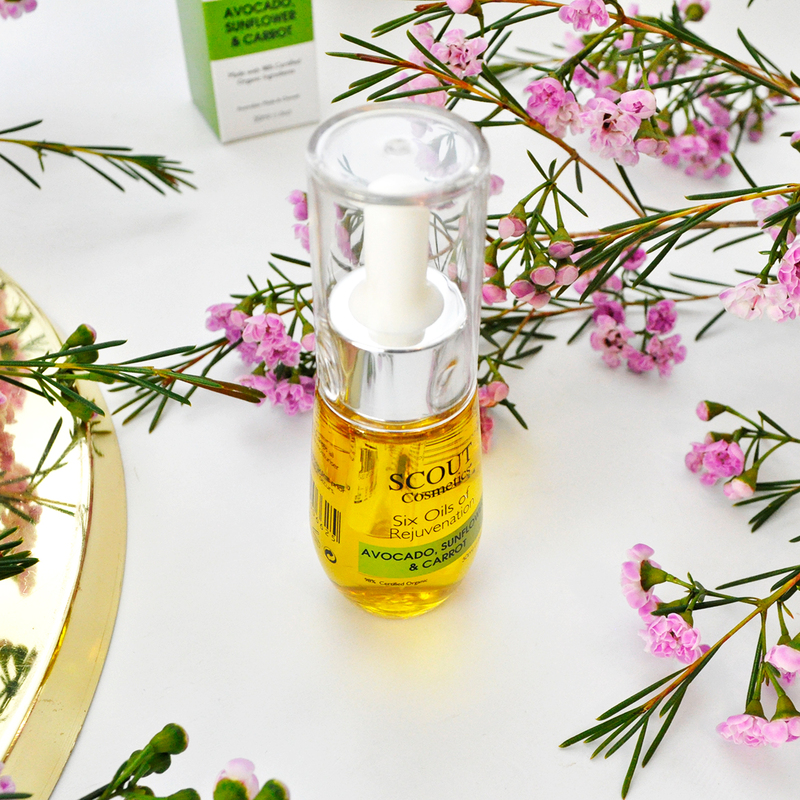 It revitalizes the appearance of my skin, giving me a clear looking youthful complexion. This great addition to my beauty routine does not leave me feeling oily, just smooth supple and glowing skin. It is great for all skin types, even oily skin. How to use: After cleansing, apply 3-5 drops onto the skin and massage it on in the morning or night, be sure not to forget your neck and décolletage! You can use it alone or add to your regular moisturiser to bring radiance to tired skin and protect it from environmental damage. 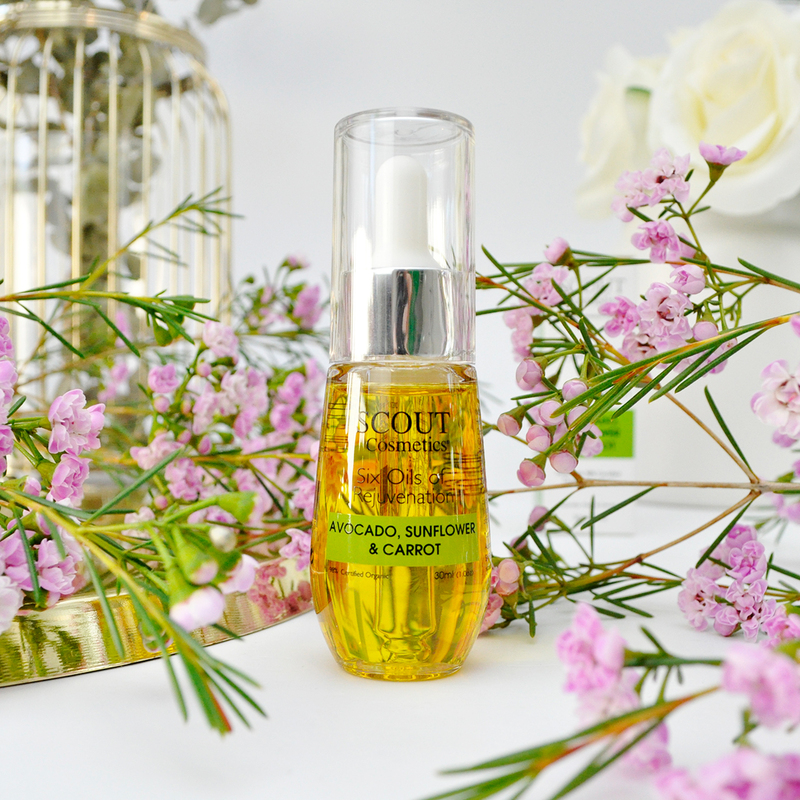 Price: SCOUT Cosmetics Six Oils of Rejuvenation | 30ml | $39.95 AUD – Scout Cosmetics is available at over 300 retail destinations across Australia including Go Vita stores as well as selected pharmacies, independent health food stores, and boutiques. 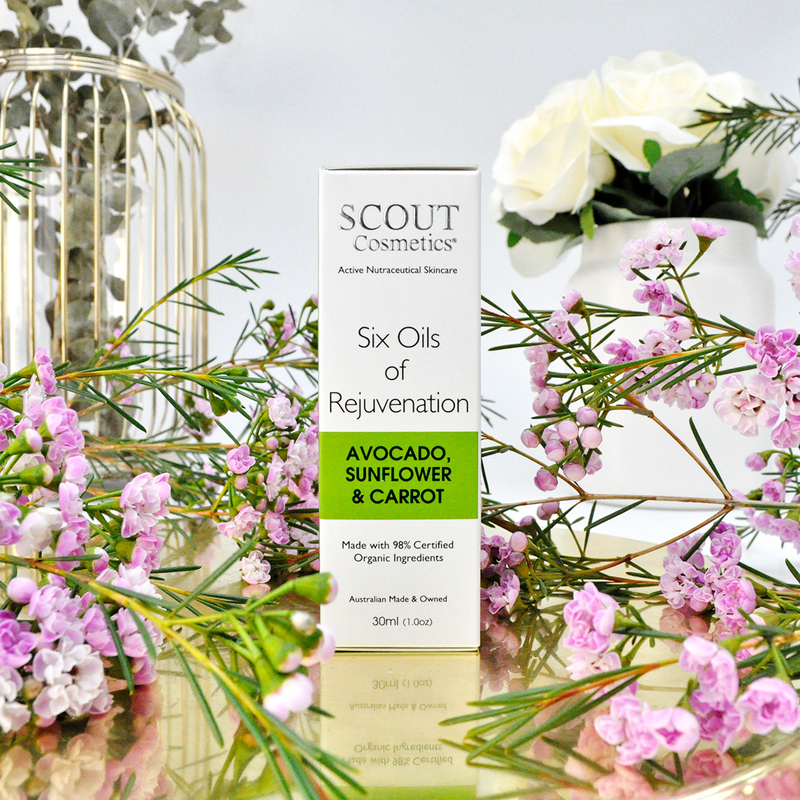 Have you tried SCOUT Cosmetics Six Oils of Rejuvenation? 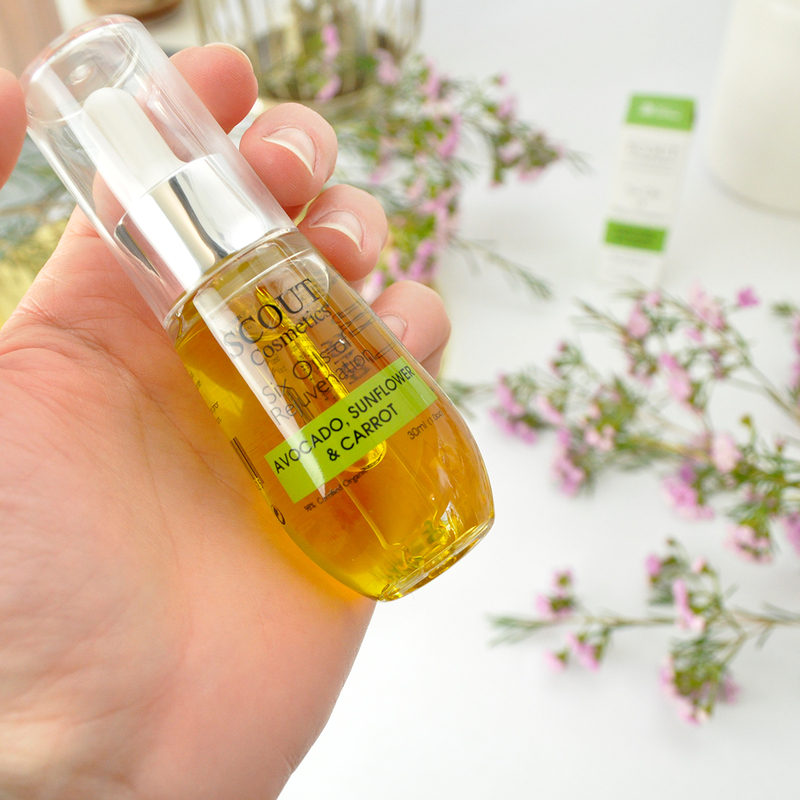 What are some of the best facial oils that you have used? Let me know in the comments below. This oil sounds beautiful! Loving Avocado as an ingredient at the moment! I actually don’t really use facial oils, but thee sound great! Never heard of carrot oil before! I haven’t heard of carrot seed oil before this either 🙂 It is rich in Vitamin A which helps to rejuvenate dry skin, keeping it supple and healthy. Carrot seed oil!?? Well, you do learn something new every day! Sounded like a tasty salad haha. I’d love to try out this oil! Plus anything that has avocado in it has gotta be great for the skin! Avocado oil is super nourishing and it’s fantastic for moisturising the skin. I hope you do, let me know what you think if you try it. Avocado, sunflower and carrot sounds like such a lovely combination! So many of my favourite oils all in one place! Do you apply it before or after moisturiser? I normally apply this oil before my moisturizer.